And guess who gets to join us for our book club? Author Terri Blackstock! Let's pick her brain over coffee! My perfect reader is one who trusts me through the twists and turns of my story, knowing that it’s going to end up in the right place. For example, in my latest book, Catching Christmas, one of my characters is an elderly woman with dementia. If a reader doesn’t know my work or trust me, they might make assumptions about where I’m going with that storyline. But my “perfect” reader would settle in and trust me to do something meaningful and poignant with that story line. ❆ How did you come up with the story? I’m so glad you asked that! Years ago, I was in a crowded waiting room at a hospital, waiting to see a doctor. A man wheeled an elderly woman into the room in a wheelchair. She clearly had some problems with her filter, because she was talking loudly, saying anything that came to her mind. Like, when a nurse walked by, she said, “Is my bottom that big?” Much of it was clearly horrifying the man with her. She had everyone’s attention, but it was clear that she had some dementia. I wondered what situation would arise that would cause some family member to have a cab pick her up for a doctor’s appointment. What must it have been like for the cab driver to be called to her house, and find her waiting? What if he was the least empathetic person in the world, yet he finds himself worrying about her? Eventually I came up with the story—the granddaughter whose job as a second-year attorney is hanging by a thread, and the frustrated cab driver whose life changes because of his interactions with this woman. It’s been germinating in my mind for years. ❅ Why did you decide to choose a Christmas theme? I’ve never written a Christmas book before, and I knew that this plot was going to be a departure from my other books, which are primarily suspense novels. The plot just came to me—that Miss Callie would lead Finn on a wild goose chase, looking for a Christmas date for her granddaughter. It’s an urgent task for a very important reason that she keeps from Finn and Sydney as long as she can. ❄ Do you have any favorite books, personally? I have so many favorites that I can’t narrow it down, and since I know some of the authors, I wouldn’t want to leave anyone out. But I hope there’s a library in heaven, because I would love to have more time to read! ❆ Have you always had the desire to be a writer? I’ve known I wanted to be a writer since I was about eleven years old. I had my first piece published when I was eleven, when a local newspaper published a poem I’d written about the Vietnam war. From that moment on, I knew I wanted to be a writer. I don’t know if I have a secret, really. Sometimes I come up with the character first, but usually it’s the plot first. I usually put every scene I’ve already got in my head on an index card, and I move them around on a bulletin board, adding, filling in, and backtracking until I have a whole story. Then I start fleshing out the characters and changing my plot to fit those characters. I move it all to the corkboard in Scrivener, and do my first draft of the book in Scrivener. Eventually I move the manuscript to Word, and I revise and revise until it’s something I’m satisfied with. ❄ How are you spending YOUR Christmas? I’ll be spending it with my family (including five grandchildren). I haven’t thought it all out yet, though, because I need to finish my next book by Christmas, so I’m racing to the finish line. I’m trying to do most of my shopping online in my spare time. I hope I get it all done! 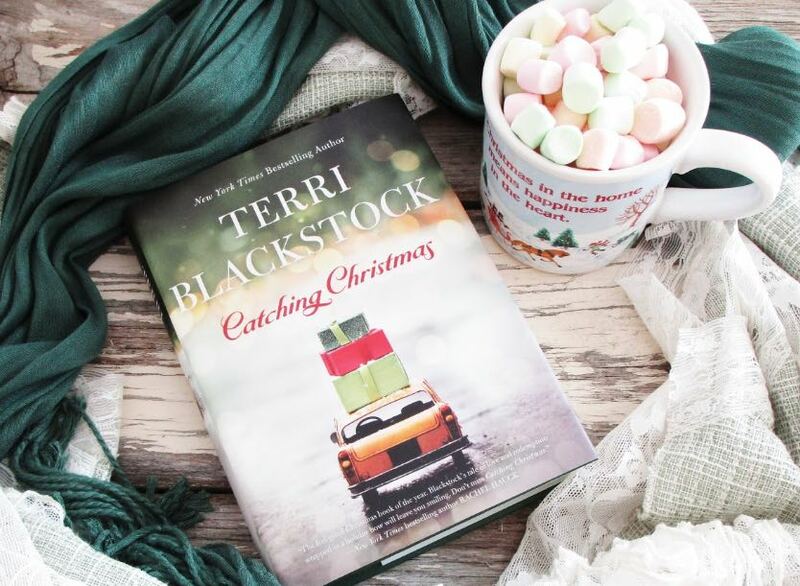 Purchase Catching Christmas today, love!